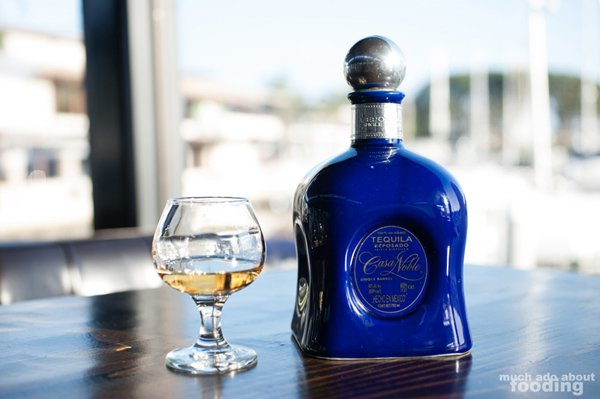 Are you a tequila connoisseur? An agave aficionado? 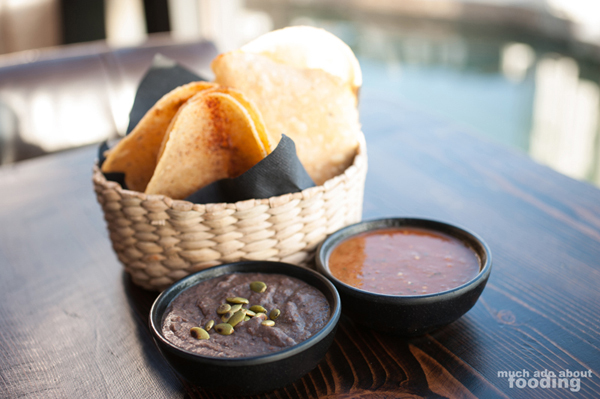 A Latin-food lover? 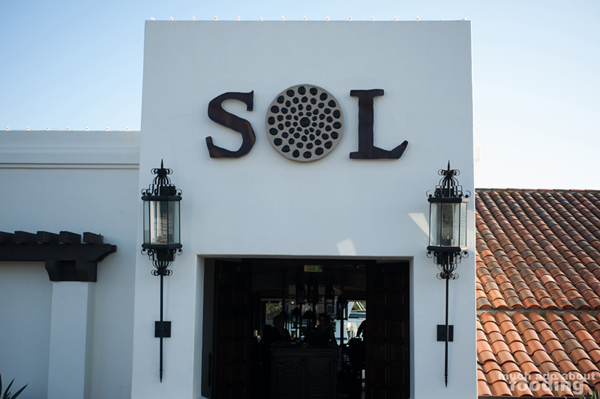 You need to come out to SOL Cocina's Tequila Thursdays then which launched just last week on Thursday, March 21 and will continue on through June 27th weekly from 6 – 8 p.m. But wait! 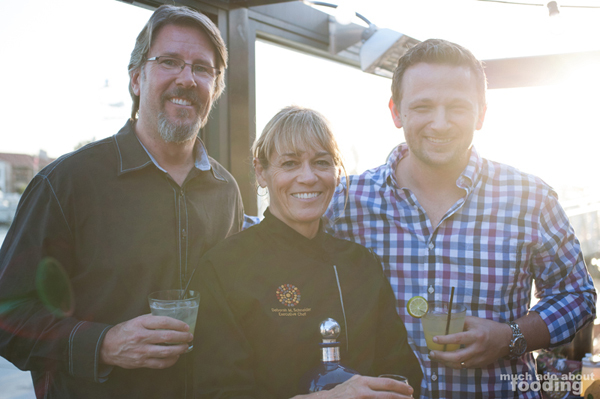 You're thinking that you can already get their 70+ artisan and premium tequilas at the bar when you visit, aren't you? Why come out for Tequila Thursday? 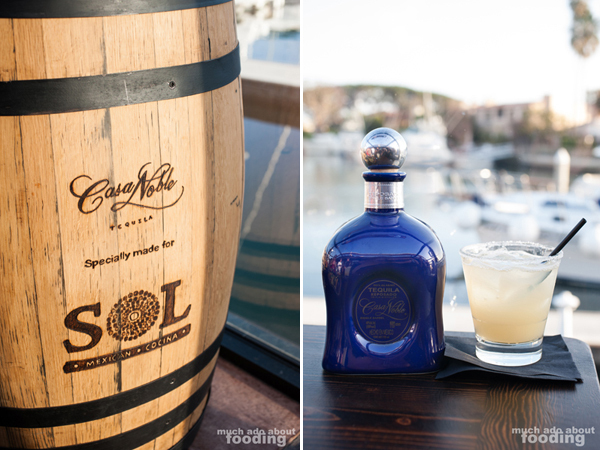 Well there's one very special reason to consider it: SOL Cocina's own Single Barrel Reposado Tequila, a custom blend at Casa Noble’s Tequila distillery by partners Rich Howland and Matt Baumayr. I was among the lucky few that got the chance to give it a try last week and am excited to tell you more about these Thursdays AND their season's menu items. These treats of weekly events will give guests a complimentary tasting at the bar and then 1/2 off the normal price for whichever tequila will be featured for that week. The calendar of features is listed at the bottom of this post. 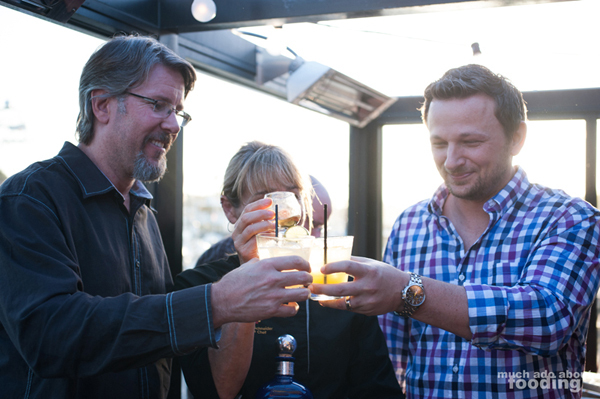 Coming in, we got a snifter of their special tequila and yes, it was tasty. 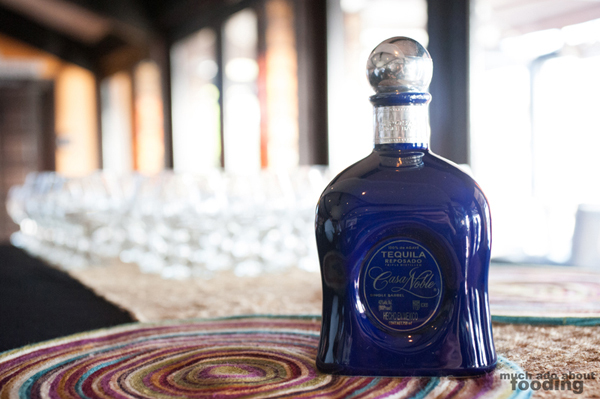 A smooth and well-rounded Reposado, this one caught our attention at first smell as its buttery, caramel aroma tickled our noses. On first sip, it came off dangerous to me because of its laidback heat and medium body feel; once the tequila hit the mid-palate, its smoky barrel taste shone through as did its easy agave smoothness. Dangerous because I could keep at it. Dangerous because it's alcohol but so drinkable. It lingered in the mouth, showing signs of a well done tequila. Dangerous! 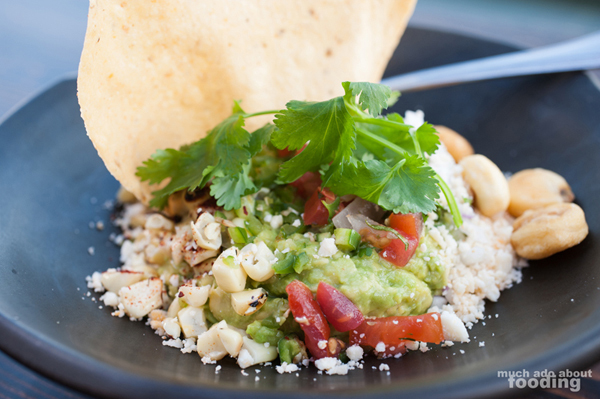 Too excited about the tequila and listening to Matt & Rich speak passionately about this special release, I nearly missed the beautiful dishes of guacamole that were brought out. 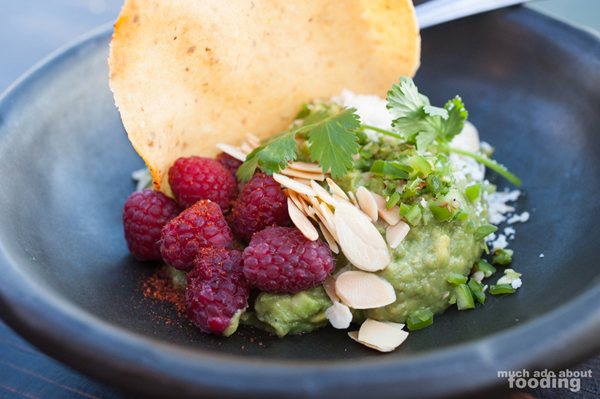 Two artful presentations came to each table out on the private patio of seasonal dishes they're showcasing for the spring and summer - the Guacamole Verano (raspberries, chile con limon, serranos, almonds & cotixa) and the Corn Goddess Guacamole (grilled & crunchy corn, cotixa, pico guajillo). Lovely to look at and more lovely to eat, these dishes were so fresh and bright with personalities of their own. I especially enjoyed the raspberries in the Verano for the tart burst you get with the crunch of your chip. 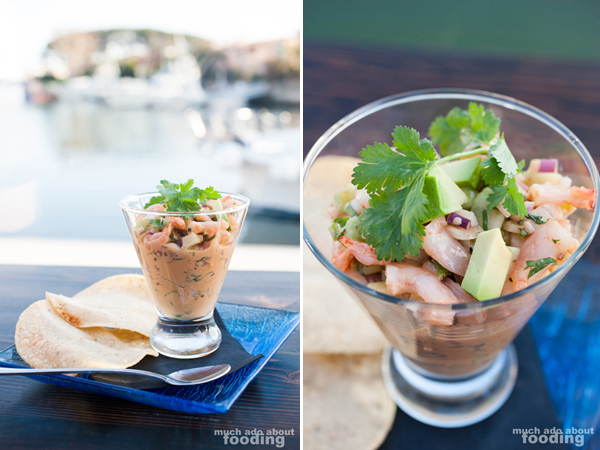 My favorite for the afternoon/evening was definitely the Japanese Ceviche de Camaron (shrimp with cucumber, onion, soy, fresh lime juice & creamy chipotle, avocado), a beautiful summery flavor with the vibrancy needed in a ceviche. I loved the lime. I loved the shrimp. I loved it all. Then we got nipped in the tongues by the Taco Viper (chicken, black ghost chile & chipotle salsa (extra hot), cheese, onion and avocado), which was deceiving when it came out. 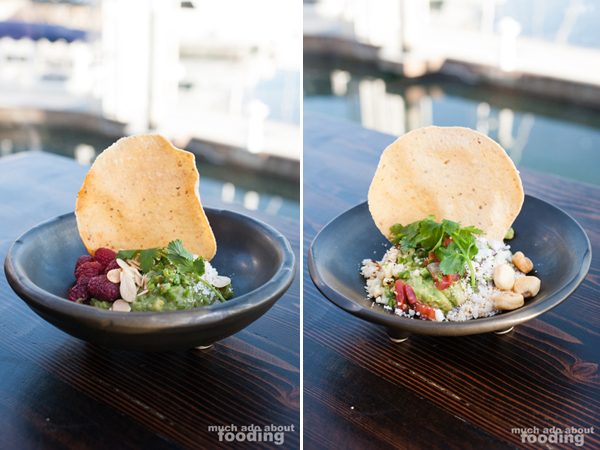 The newly sliced avocado on top slyly hid the pitch black salsa that burned a slow-to-hit but lasting burn. If you know me, I'm weak when it comes to spicy food! I'm glad the tequila was there to somewhat ease the pain (though it has a heat of its own). 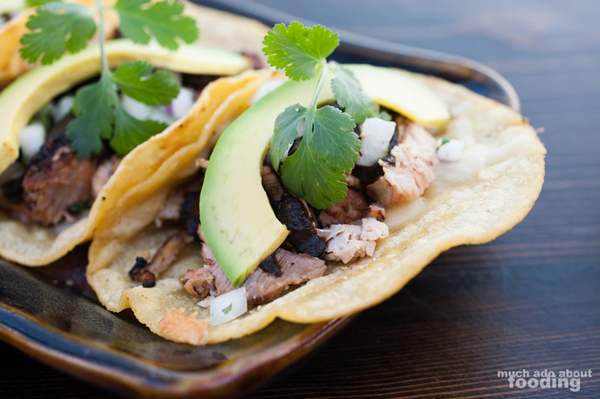 It may have been spicy but you can't knock that taco for flavor; it sure packs a flavorful punch of its own as well. 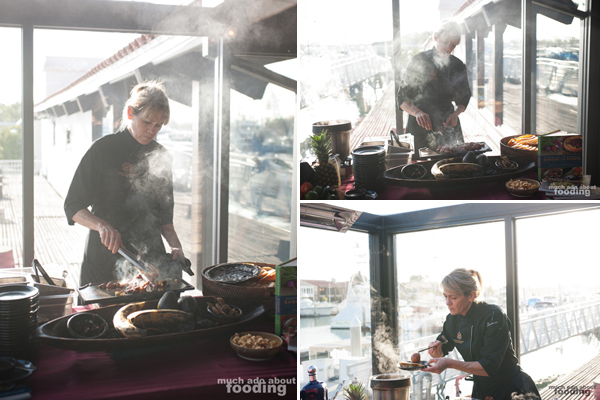 In addition to the alcoholic treats, we were also honored by the presence of Chef Deborah Schneider who did some live cooking of the Taco Adobado D.F. (pork in special chile adobo, pineapple & onion, cheese, puffy fried tortillas, salsa taquero & onion) and treated us to some of her delectable chicken mole as well. 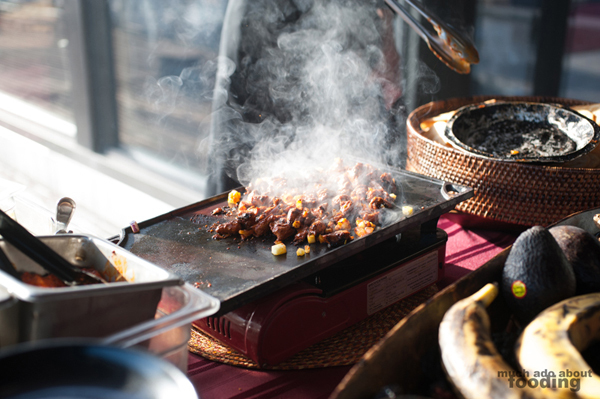 In its puffy shell, the taco was a different take on the lovable "al pastor" taco we see out on the streets but nothing short of fantastic. 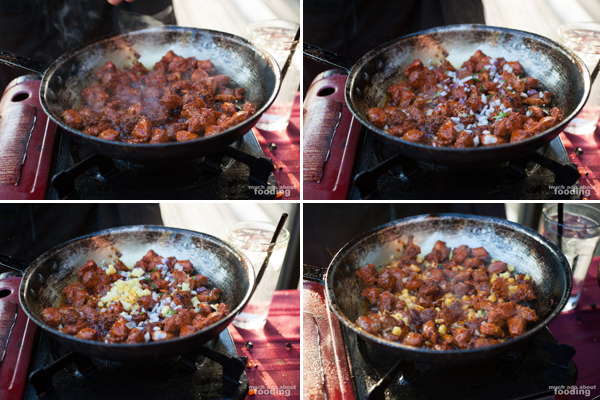 Chef Deb knows what she is doing with her sauces, all made with freshness, care, and passion for detail. My thanks to Chef Deb, Matt, and Rich for having us all there as well as Mona for inviting us out. 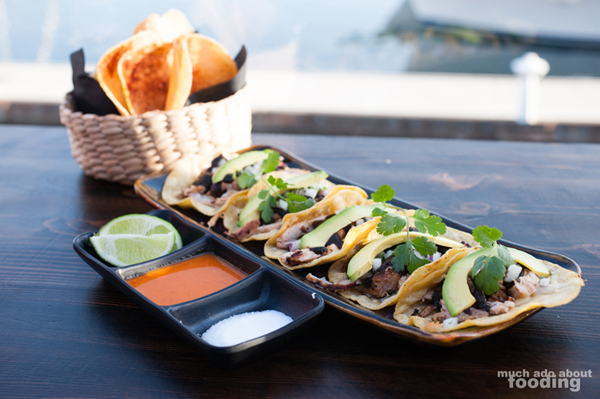 SOL Cocina is located in Newport Beach at 251 E. Pacific Coast Highway at Bayside Drive on the Balboa Marina and is ready to tantalize your tastebuds. Let me know if you give them a try!